At the beginning of September, the Facebook posts of three young Egyptians were widely shared across social media networks expressing their will to commit suicide. All three men followed through with their reported intentions. Social media users in Egypt circulated the Facebook posts after the three young men committed suicide for different reasons. The reasons included depression and disputes with their families. 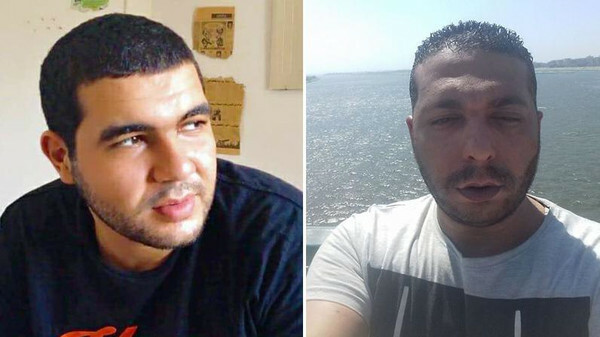 The first was Sherif Qamar a student at the faculty of Medicine of Ain Shams University, the second was Hazem Abdel Monem, a 33-year-old who worked as a sales supervisor at a private company, while the third was El Sayed El Sharkawy. An investigative report conducted by Egyptian authorities revealed that the medicine student Qamar committed suicide by shooting himself with his father’s gun, according to local media reports. The suicide of Qamar was followed by footage he posted on Facebook outlining his wish to kill himself due to deep depression. The second man, Hazem Abdel Monem, committed suicide after he wrote a Facebook post bidding farewell to his friends. He said that he would commit suicide due to a dispute he was having with his family regarding inheritance. His body was later found and retrieved by police in the Nile in his hometown of Minya, a city in Upper Egypt. The third man, El Sayed El Sharkway listed his reasons for wanting to commit suicide as being unable to face the ongoing problems in his life. Shortly after, many friends of El Sharkway started to mourn his death on Facebook, saying that committed suicide. However, his brother noted on his personal Facebook page that El Sharkway did not commit suicide as some social media users are suggesting, asserting that he passed away due to natural causes. The three incidents have brought to the fore questions on the role of the society and authorities in the issue of suicide in Egypt. Since the suicides, a number of friends of the medicine student, Sherif Qamar, have decided to launch a social campaign to establish an institution that provides people suffering from depression or considering committing suicide with appropriate treatment.